Chester Bennington hanged himself yesterday. He was 41. You may not recognize his name, but Bennington was the lead singer of the profoundly popular rock band Linkin Park. Formed in 1997, Linkin Park released seven studio albums, sold more than 70 million copies globally and won two Grammy Awards. One music publication listed Linkin Park as the “greatest artists of the 2000s.” The band’s music was a mash-up of techno beats, hard rock and rap. Bennington’s voice was as unique and recognizable as Linkin Park’s music. You don’t have one without the other. I like Linkin Park’s music and I loved Bennington’s voice. He was a huge talent. He had a beautiful wife, six kids, massive success, loads of money, millions of devoted fans, admiration of peers, a new album and a world tour. He seemingly had it all, yet something profound was obviously missing. He was awash in despair. Desperate people do desperate things. The word, “sad” seems too understated in describing his death, unless you plumb the emotional depth pooled beneath that word. Today, I dived into the pool. I am not a grieving adoring fan because I am not an adoring fan. I’m just a guy who thinks Linkin Park’s music is creative and different. Frankly, I don’t know what to do with some of their songs and I don’t even like them all. Some are pretty weird. I grieved today as a follower of Jesus Christ concerned over the probable eternal loss of a man’s tormented soul. I don’t know for certain that Bennington had no relationship with his Creator, but from appearances, it seems likely he didn’t. Seriously. Bennington. Had. It. All. I even said to a friend, “The guy was on the mountain top.” Like an unexpected thunderclap, the temptation of Christ immediately came to mind. “Next the devil took him to the peak of a very high mountain and showed him all the kingdoms of the world and their glory. ‘I will give it all to you,’ he said, ‘if you will kneel down and worship me’” (Matthew 4:8-9). Bennington was there. He had the kingdoms of fame, riches and power. He was seduced to the mountaintop and found it hollow. There was never going to be enough fan adulation – worship – to satiate the spiritual hunger that only Jesus can satisfy. Satan dangled a promise – even fulfilled it – but in the end, stole Bennington’s life. “For what does it profit a man if he gains the whole world and loses or forfeits himself?” (Luke 9:25). I’ve struggled throughout the day to extract any redeemable nugget from Bennington’s death. I confess it’s been like sifting through an ash heap looking for Grandma’s promise ring. I don’t know, for my own sake I need some outcome of tangible worth because I personally can’t deal with the senseless loss. Maybe it seems selfish, but the only way I know to extract meaning is to contemplate my own life. What am I chasing after? What “kingdom” am I seeking? How am I using my gifts and talents? How much adulation am I seeking? How much adulation am I directing toward my Creator? I grieve over the profound loss of Chester Bennington. I can’t even begin to imagine the downward spiral that drove him to such an irreversible end. That struggle is real for so many. Millions chase promised kingdoms. Many get there only to find nothing more than an illusion. They are greeted by a mocking deceiver who hands them a bag of despair as their reward. It appears hopeless. If they only knew of the freedom available to them in the grace of salvation granted through Christ Jesus. 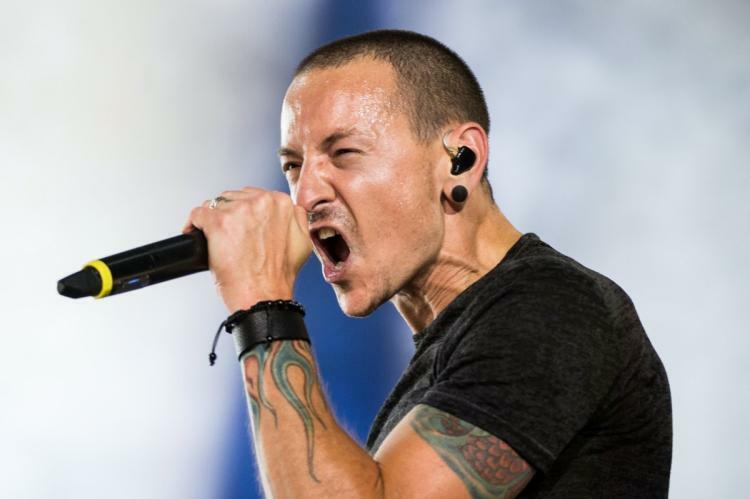 No, you may have never heard of Chester Bennington, but his life – and death – should mean something to you. What are you chasing after? What “kingdom” are you seeking? How are you using your gifts and talents? How much adulation are you seeking? How much adulation are you directing toward your Creator? Because in the end, it really does matter.